Traffic is one of the most important backbone of any body who wants to succeed or use blogging as a career, go to different forums, question and answer websites majority of questions ask their is how to get tons of thousands of traffic to my blog. Since traffic is backbone of blogging one can't blame anybody for asking such questions. Because even before you can start making money from your blog, you have to drive a lot of traffics and visitors to it. If you don’t drive this traffic then you must be ready to read what you wrote, but that's not our goal, aim or purpose for blogging instead we need to write and many others will read and enjoy. What l mean here is that you shall write posts and million others shall read your articles and you shall eat the fruit of your labour (Blog Posts $$$$$). So do you want to be getting millions of visitors to your blog site for free? Then you have to read on till the end of this post as am going to reveal to you how many blog gurus drive millions of visitors to their blog for free. This article can be covered in just few minutes but what you will gain will lead and help you to drive tons of blog visitors to your blog for free without paying sheshi (penny) to anybody. We are going to take this secrets that many gurus use to drive millions of traffic to their blog which they can never tell you step by step so that you too can follow and become one (guru) after reading this post today. How to drive billion of visitors to your blog every month for free. This post will reveal the true means by which blog gurus drive billions of traffic to their blogs which they can never tell you. How working 30 minutes a day can earn you the billion visitors you have been dreaming about. 3 url list of any of your blog posts. A compressed short video which is related and relevant to your blog niche or best post. I have to take it small small, one step at a time, at the end we will arrive on a pleasant place. Sign up to 10Khits they have Lightweight Exchanger tool which offers you the ability to surf their website without any interruption, pop ups or frame breaker. They also offer you free online support and geo targeting for any country of your choice which you wants to drive traffic from. URL-To.com can help you get millions of traffic to your site for free. With URL-To.com you can advertise you site by sharing links with high quality, geo target website visitors. When you sign up they will give you a tracking url from your website url address and they will also give you 100 point (free 100 visitors). You can share your tracking url on social media Facebook, Twitter, Forums etc. Each time someone clicks on your tracking url you will earn free campaign views for driving traffic to your blog. When you create a campaign it stays live always and will be seen globally around the world. Offering you high quality geo targeting visitors by allowing you to target countries you would like your visitors to come from. You will occasionally earn free views for running campaigns, earn 500 views for anybody you refer to their website, 5000 views anytime you writes a post about URL-TO.com and 15000 views if you creates YouTube video. Secrets of Gurus 1: is AddMeFast joining this website will give you 50 instant hits which you can use to drive 50 instant free visitors to your blog. Let's look a bit small what AddMeFast is all about in summary. AddMeFast: is a network platform that helps you to grow your online social media presence and reputation. In AddMeFast you have the ability to choose who to like, follow, subscribe to, view or skip the ones you don't like or interested on. On Facebook: you will increase your Facebook Page and Group Likes, Facebook Followers, Facebook Shares, Facebook Post Shares, Facebook Post Likes etc. On Google+: You will increase your Google+ Post Shares, Google+ Circles etc. On YouTube: You will get more YouTube Subscribers, YouTube Views, YouTube Video Favorites, YouTube Video Likes. On Twitter: You will get more Twitter Followers, Twitter Favorites, Twitter Tweets, Twitter reTweets. More Ask.fm Likes, VK Page Followers, VK Group Join, MySpace Friends, Instagram Followers, Instagram Photo Likes, Pinterest Likes, Pinterest Followers, Pinterest rePins, SoundCloud Music Listening, SoundCloud Followers, Reverbnation Fans, StumbleUpon Followers and WebSite Hits (autosurf). They offer easy AddMeFast registration, 50 points at start and 300 daily bonus points for active users. Secret of Gurus 2: is AlexaSulf joining it will give you free 100 real alexa website visits as you sign up which will help you increase your Alexa ranking. You can also do free ad advertisement on AlexaSurf where you can add both banner and text ads to increase your online revenue. Secret of Gurus 3 : Smart On Search Engine Optimization (SEO). 1. Use small and search engine friendly url. 2. Write heading for your visitors and search engine too. 3. Your headline is crucial to attracting both humans and search engines, so make sure it’s enticing and naturally contains words and phrases that people are searching for. 4. Use focus keywords in first paragraph with repeating after each 15% of post. 5. Enable comments with moderation and social sharing . 6. Make your site mobile friendly and fast loading. 7. Paragraph should be short and post should be interlinked. 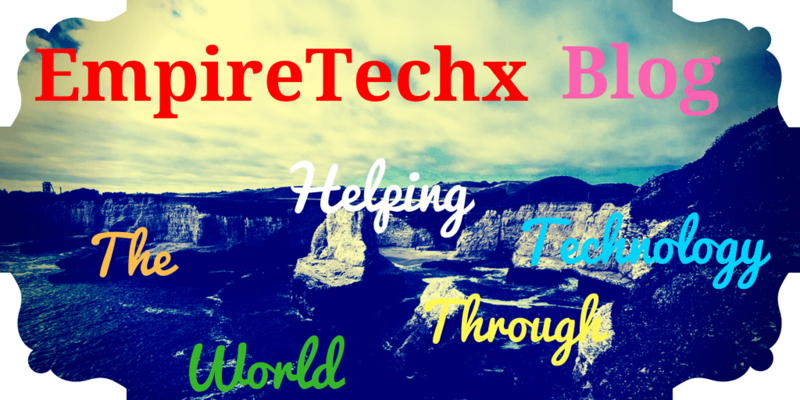 Why You Should Add Hreflang Tag On Your Blog and How To Use It In Your Blogger Site etc. This are all perfect SEO practices you should follow to become a blog traffic guru. Joining Traffup.net traffic exchange system will be able to get you 1000 free real time daily visitors to your blog. What to do on Traffup.net to get more visitors. 1. First sign up to Traffup.net. 2. On the add your website section, add enticing website title and good description this will also help you get high quality backlinks to your website. 3. When you join they will give you free 300 point = 30 website visitors. 4. You have to follow other users on social medias facebook, twitter, Google+ etc and visit other peoples websites to get more points easily. 5. You can also use banners or text to refer other people to their site to increase your points. Your website remains visible as long as theirs point on your credit board. LeadSleap is a great traffic and lead generation system. Note: Traffic means your website visitors while leads are those your website visitors you can contact. When you sign up to LeadSleap which was formerly called Lead Leap but now its called Leadsleap 2.0 you will not only increase your website visitors but also be paid for each 10 ad clicks per day. Which means LeadSleap is a quality traffic booster and money making websites through ad clicks. They pay you in real money when you refer somebody to their website and through traffic boost. Joining LeadSleap will give you many visitors per month coming only from their website. Upgraded member on LeadSleap will earn you much more daily and weekly revenue shares but if you can't afford to upgrade you can also earn revenue as a free member. and giving you tools to convert your traffic into leads. 1. LeadSleap helps you to show your ads on over 4000 websites for free. 2. LeadSleap will help you get laser targeted visitors to your blog, site, or sales page. 3. LeadSleap will help deliver more traffic to your referral or affiliate link too. 4. LeadSleap will give you many free marketing eBooks, tools like OTO list builder and many more in one tracker which helps you grow your business. 5. LeadSleap can help to increase your website leads for free. 6. You can make more money by surfing some ads which related to online money making, leads increment, increase website traffic and many internet marketing related source. 7. You will learn many marketing related topics on LeadSleap. 8. 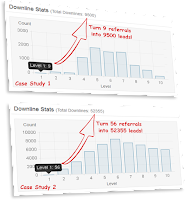 LeadSleap will help you build downlines up to 10th level. 9. Other LeadSleap members offers free eBooks to others. 10. You will also make money rating ads. 12. You can send a direct message to your down lines. 13. LeadSleap also help you to monetize your website using their ad system which you can also use if you don't have adsense approved yet on your site. YouTube is a great video website and also a way of boosting and driving more traffic to websites. You can also use YouTube to make money online. To use YouTube to drive traffic to your blog create short and introductory videos for you best posts, look for upcoming movie trailers and upload them on YouTube. And in your video description paste actual link of your post . Prof tips- before uploading your video on YouTube you should add most searched keywords tags to your video to rank higher on YouTube. CageRank Cafe is like a combination of traffic exchange and viral traffic generator. You will earn free 10 points when you sign up and 100 points each when you refer anyone to join PageRank Cafe. All you need to do is to surf 10 pages on PageRank to post one of your ad link. When your ad is posted the link will stay live for 24 hours (approximately a day) and would be eligible to be click for that entire 24 without you doing any work at all. Then when new people come they will also click your ads to gain points. But the coco here is that when this new people keep posting their ads after surfing 10 other pages your own ad will be going down the bottom line till it leaves the first page. But the trick should be to always try to make your ad appear always at the first page of PageRank Cafe site. To do this when your ad is no more at the first page what you should do is to revisit another 10 pages. You’ll be given another link use it to post another ad and it will stay at the first page again this way you will always be appearing on the first page. Using this trick can get you more than 1000 site visitors per day from PageRank Cafe. Use this link to join PageRank Cafe for free. Secret of Gurus 8: is Facebook Marketing where an Advertisement (CPC) cost per click to website is 0.01 or less depending on visitors country. With 0.01 facebook marketing advertising strategy you can get up to 10,000 daily visitors for around 10 - 15 USD. Each campaign you run may be seen by 20,000 plus Facebook Users which is also a blog traffic boost. Secret of Gurus 9: is called Traffic G which is the easiest of all the traffic boost website. Traffic G is a banner exchange and manual traffic site. On Traffic G you can get free point without surfing any page. To achieve this you can use Traffic G tool called Super Start Service. To get free traffics in Traffic G without surfing any page what you need to do is to set your browser to make Traffic G Super Start Link your homepage and each time you open your browser you will earn free credits without surfing. Join Traffic G For FREE! Secret of Gurus 10: is to post your website content to the Top Tutorial websites online. Tutorial websites are gold mine which has not be tapped much. To gain more on Tutorial websites you should publish articles related to internet marketing, SEO, web development, graphic design, programming, wordpress or business development. Tutorial sites can help drive tons of traffic to your site and submitting your content to Tutorial sites is one of the easiest ways of increasing your website traffic online. And you can also get backlinks which will be a driving force for boosting your website traffic. Secret of Gurus 11: is Guest Post. Guest posting is relevant and very important part of blogging so you should try to guest post at least few times per month. But the resultant effect is a big boost of your sites traffic. You should make sure you create out time to write killer content not for just your blog but also for guest posting on other blogs. And this should be done mostly when you’re just starting your blog newly to boost your traffic and get backlinks from the websites you guest posted on. Try to convert blog visitors into loyal readers and subscriber. To achieve this do (giveaways) give them something free which they are highly in need of and supplementary for your blog or blog post. At the stage of setting up your account on IBotoolbox you'll be give free 500 FREE Advertising Credits. Note: The Video Tutorial Below Will Say That You Will Get 100 Advertising but you will actually get 500 credits. Watch The Video Below To Learn How To Setup Your Ibotoolbox profile. Tips For Getting The Most Traffic From Ibotoolbox. Tip #1 – Fill out your profile you will get 500 free views and add links to things that you want to promote. Most of the traffic that you will get will come from your profile age. Tip #2 – Publish 2 Press Releases Everyday because you earn credits for publishing press releases. You can then use your free credits to advertise on Ibotoolbox via banner and text ads. Tip #3 – Claim your free credit coupon codes daily. At 6:00 AM and 6:00 Pm everyday a new free credit coupon code is released. Claim these free credits and then use them to display your text and banners on Ibotoolbox for free. Make money online creating Podcasts. You will be sent daily free credits 6:00 am and 6:00 pm use this free credits to create campaign for drive traffic to your site. On LeadSleap click ad daily to earn point which you can use to post your own links. Note: when you click other peoples ads make sure you check how relevant the blog site is to you as you may see things that may interest you. By this way you are not just clicking ads for credit but also to enrich your knowledge and meet new people and great websites which can help you with online business. On Pagerank Cafe visit their sites many times a day to earn points with which you can always put your ad link on their first page without letting it move to the second page or third. On Traffic G after enabling Super Start Service open your browser many times to earn auto credits without surfing their website. Each time you open your browser will earn you 10 credits, 20 time 20 credits….. 100 times 100 credits…. Many times many credits etc. Join many blogging community to build your online network. You can submit your short descriptive videos on many video websites like Udemy, YouTube and banner/photos to photo and banner sharing websites, Click and sell photographs, instagram etc. You should use auto email capturing tools like aweber to capture emails this way you will always bring them back to your website every month. When you join aweber you will get free $15. Always remember to share your posts on social bookmarking websites like Digg and Reddit. At the end l hope you like this post, if so let me know through the comment box and also share, like and subscribe to my newsletter for direct post update.